Explore opportunities for and issues around the use of machine listening algorithms in arts and humanities. Develop cross-disciplinary understandings of potential applications and implications of machine listening algorithms. Promote speculative, experimental investigation as a way of problematising and investigating human-machine agency and the unique affordances of machine versus human listening. Disseminate insights to academia, industry and general public through targeted peer reviewed journal articles, public festival event, open-access website, and radio broadcast of a sonic arts docu-commentary created using algorithmic recompositions of network discussions. 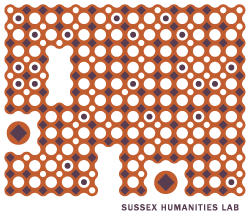 By meeting these objectives, to foster cross-sector collaboration and long-term impactful research that utilises and interrogates the use of computational methods in arts and humanities research and wider culture. This website and blog will be updated throughout the course of the network as a site of information and exchange.